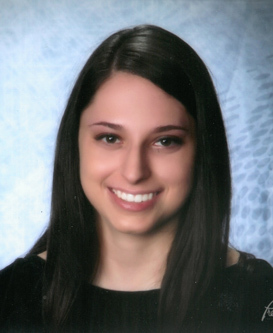 Hayley McAleese is a senior in the International Baccalaureate Program at Hillsborough High School in Tampa, Florida, and will graduate with a 6.1347 grade point average. In addition to excelling in the prestigious IB program, Hayley is a National Merit Scholarship Finalist. She has also dedicated her time to numerous school activities such as Honor Council, National Honor Society, Spanish Honor Society and Key Club. In addition, Hayley was Captain of the soccer team. Hayley has always felt passionate about supporting those in need in her community. She has been a volunteer for Relay for Life for the past eight years, beginning when she was in elementary school. Her high school involvement included running her own team and serving on the fundraising committee in support of the yearly event. Hayley also volunteered for a year in the Teens in Action high school service program, educating low income elementary school kids about healthy eating habits. Hayley has been accepted at Savannah College of Art and Design where she plans to major in Fashion Design and Merchandising. Hayley is the daughter of Rescue Captain Jeff McAleese and his wife, Wendi.